Most of them want to do it as a hobby and a few are more passionate and want it as their career. Today, I will cover how to become a good photographer, what skills you need, how you can improve your photography skills and what you need to do in order to become a recogniz ed photographer. The first thing you need is a camera, preferably a digital SLR. If you cannot afford a digital SLR just get any simple camera or phone, anything that can take quality photos. Nowadays, phones have very good cameras and are perfect for taking high-quality photographs. You can always have your camera with you when you need it. Here is a quick guide that will help you decide what camera should you buy. The key to master any skill is “Practice”. Practice as much as you can. Take crazy photos, take photos from different angles, below or above the height of a normal person, climb a tree or let your camera lay down on the ground. Your first 1000 snaps can be a crap but by doing this you will get an idea that which angle is the best to take a picture of an object. Avoid taking photos in auto mode, practice in manual mode. At the start, you will get 100 blurry and useless photos but soon you will be able to learn to focus objects manually. It is important to learn to take photos manually. Even if you can take good photos in auto mode, what is the point of thinking that you are a good photographer when the camera is doing everything for you? Too much exposure to light can make objects less visible and less attractive. But, very little exposure to light can result in bad quality photos. Practice a lot and learn when to use a flash light and how to adjust the proper light for a perfect shot. Becoming a good photographer does not only require the good photography skills but the photo editing skills as well. Learn to edit photos by using some professional software like Photoshop. There are hundreds of tutorials available on the internet that will teach you how to edit photos. Photo editors will make your photo attractive. 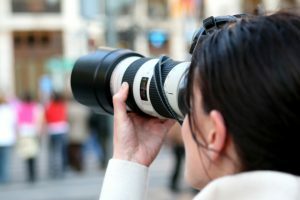 Why do you think the professional photographers have fantastic photos? Because they are skilled photo editors as well. Don’t waste any opportunity of participating in any photography event. Go to photo walks with your friends. Practice taking photos of your friends, your pet, things in your home, garden, everything. If possible, go on an adventure and capture things that most of the people have not seen. Show your creativity. The human eye is better than any camera in the world but it cannot capture things like a camera. Go capture things that we do not notice with our naked eyes like lightning, smoke, little objects, insects or anything. 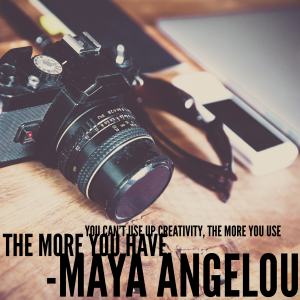 Let your creativity come out of your mind into the lens of your camera. Follow professional photographers on social media and learn from them. Find out your inspiration and work for your photography skills. Know how the professional photographers are taking photos and practice taking pictures just like their photos. If possible then take pictures of the same place or things from your camera and find out what you are missing. There are people who like to get a degree in photography but you can learn it without a professional degree. Joining any workshops in your area can be enough to make you a good photographer. Learn tutorials online, everything is available on the internet. Research a little about how you can improve your skills. Read books, learn how you can adjust the angle for a photo. Read about the effect of light on photos and read about all the features of your camera. Know how the photos are clicked and how you can get the full benefit from your current camera. 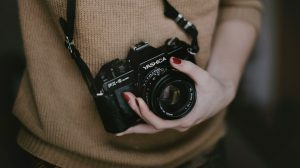 If photography is more than a hobby for you, then try to work as an assistant of a professional photographer and learn how he/she is taking the pictures. Work under their assistance for a couple of months. Participate in any photography event in your school or your city and observe how the winners are taking the photos. Make your own social media page and profile and start promoting yourself. Post your photographs on daily basis and let people know you. 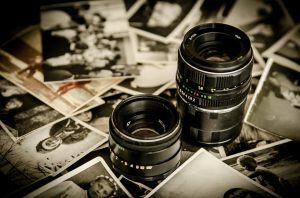 Try to make a story with each of your photographs to make it even more interesting and eye catching. 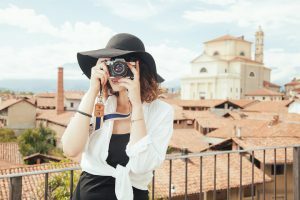 If possible, get your own photography blog and post your photos with good captions. You can also take help from a writer to write the captions or story for you. You must have very good communication skills in order to become a successful photographer. Increase your network in order to get recognized by more and more people. Accept criticism and be patient. Learn from the mistakes. Get an opinion from the experts. Don’t forget to appreciate your fans and keep in touch with them. If you are a very good photographer and no one knows it then it is useless for you. It can work as a hobby but it will not give you any monetary benefit. Keep in touch with the people to get recognized. Click here to learn some impressive photography tricks. In short, if you want to become a good photographer you must get a good quality camera, you must learn how to edit the photos, have good communicational and social skills. Follow the top photographers on social media to learn more about photography and to get some inspiration. Practice makes a man or a woman perfect, practice a lot and have patience. Don’t get disappointed when someone criticizes you. Instead of becoming disappointed, try to correct your mistakes and don’t let them criticize you for the same reason again. Make a name of your own, it takes time but with a passion anything is possible. Last and the most important thing “Enjoy it”.